Meta Fuller, In Memory of Mary Turner: As a Silent Protest Against Mob Violence, 1919. The story of Mary Turner showcased the fact that black people in America weren’t truly treated equally, and that after Reconstruction, many black people continued to face brutal treatment through lynchings and mob violence. Mary Turner was one of the victims of these malicious lynchings. In the manhunt for Sydney Johnson, a man who shot the cruel, abusive plantation owner Hampton Smith, her husband was murdered. She spoke out against his death, and as a result, drew the attention of a vicious mob, which violently killed her and her unborn child. Meta Vaux Warrick Fuller, an African American artist mainly known for her sculptures, captured the tragic event. Fuller was born in 1877 and raised in a middle-class black family in Philadelphia. She created the sculpture of Mary Turner to protest violence toward and lynching of black people. Fuller created the sculpture in 1919. When the Radical Republicans compromised with the Democrats in the election of 1876, Reconstruction ended and some of the progress that was made for African Americans was reversed. Racial tensions continued to rise. Between 1882 and 1968, there were 4,743 lynchings. Of these lynchings, 72.7% (naacp.org) of the people that were lynched were black. However, a lot of lynchings went unreported. 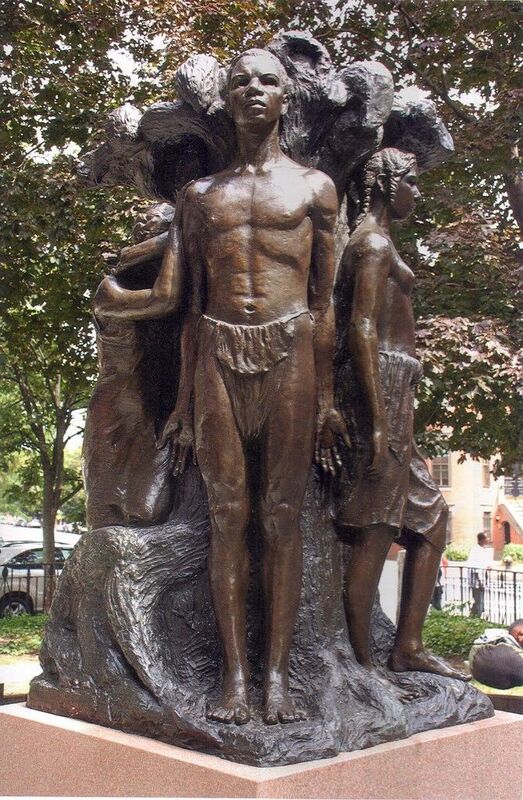 In 1919, the year that Fuller made the sculpture, the Chicago Race Riot took place. It began in response to the drowning of 17-year-old African American boy named Eugene Williams at the hands of a group of white men. Meta Fuller, The Awakening of Ethiopia, 1921. Fuller’s sculpture was one of the first works of art that directly addressed this subject matter. By 1909, she was married to a man who didn’t support her ambitions, and expected her to play the traditional gender roles. However, Dr. W. E. B. Du Bois, who did support her, asked her to create a sculpture to celebrate the fiftieth anniversary of the Emancipation Proclamation. This allowed her to express opinions on topics such as civil rights and women’s rights. She became involved in civic activism. She protested racist movies such as “The Birth of a Nation.” This movie was created by D.W. Griffith, and it showcased the relationship between a Union and a Confederate family. The movie conveyed lynching as a positive thing, and it tried to justify such vicious treatment. Fuller also became an advocate and promoter of women’s suffrage. Some of her other works included Ethiopia, which emphasized the “reclaiming of Africa,” and Emancipation, which showcased male and female figures arising from the tree of knowledge at the center of the sculpture. During the 1920s, there was a rise in political activism from African Americans. Organizations such as the N.A.A.C.P. were founded to fight against racial discrimination. The Harlem Renaissance led to the flourishing of African American art, music, and culture. Despite the positive developments of the 1920s, there was a dark side to the time period. There was intense racial tensions and violence, and African Americans continued to face brutality and immense discrimination. Thus, the work of artists such as Fuller showcased the fact that America was still in a state of intolerance and bigotry, and that American society still had a long road to civil rights for all. Brook, Tom. “Culture - The Birth of a Nation: The Most Racist Movie Ever Made?” BBC. February 06, 2015. Blum, Paul. "Correcting the Canon: The African American Feminist Art of Meta Fuller." Tikkun Magazine. May 4, 2012. "Fuller, Meta Warrick (1877-1968)." The Black Past: Remembered and Reclaimed. "The Chicago Race Riot of 1919." History.com. "In Memory of Mary Turner: As a Silent Protest Against Mob Violence - Fuller, Meta Vaux Warrick (1877-1968) - Google Arts & Culture." Google. Jones, Shatyra. "Meta Vaux Warrick Fuller." Moore Women Artists. December 14, 2015. "Remembering Mary Turner." Remembering Mary Turner.